Canada has finally reached a free trade agreement with our southern neighbours in the form of the USMCA, but we are still in the stages of trying to decide domestically if we want to join the Trans-Pacific Partnership. 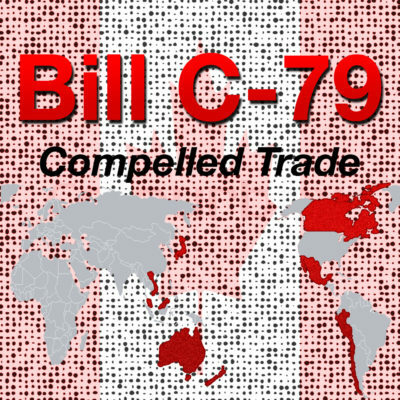 Bill C-79, the Comprehensive and Progressive Agreement for Trans-Pacific Partnership Implementation Act would see Canada partner with 11 countries for a free trade agreement that has been speculated to “boost Canada’s economy by $4.2 billion over the long term,” according to Omar Alghabra, parliamentary secretary to the Minister of International Trade Diversification. The countries involved in the CPTPP have a market of 495 million consumers that Canada will have preferential access to if the agreement goes through. The GDP for the countries involved in the deal amasses to 13.5 per cent of the world’s GDP. A number that will likely rise in coming years due to rapid economic gain in Asian countries like Malaysia and Vietnam. “Canada’s exports to our CPTPP partners totalled nearly $27 billion in 2017. The CPTPP would provide Canadians with the tremendous opportunity to continue to expand their business in Asia,” Alghabra said on Oct. 5 during a House debate on the bill. Two of the major opposition parties have raised some questions to the Liberals and criticized large policy changes the trade agreement necessitates. A Bloc MP also criticized the trade agreement claiming it was at the expense of Canadian dairy and poultry farmers (many of which are located in Quebec) due to scrapping certain supply management provisions. Dairy and poultry farmers may be hurt financially, but Alghabra was quick to respond and cite the new benefits the trade agreement would bring to hog farmers in Canada.